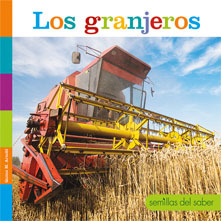 Booktalk: Short, lyrical text makes this a perfect naptime or bedtime story. 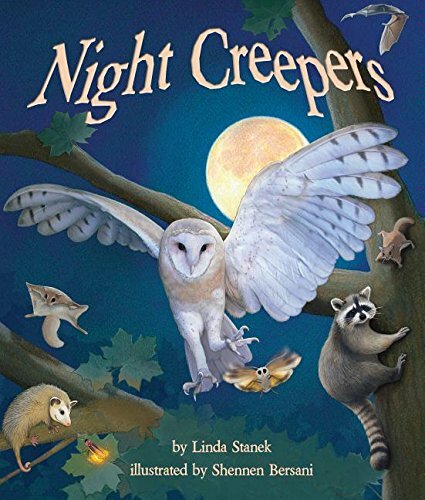 Young readers are introduced to nocturnal animals and their behaviors. Older readers learn more about each animal through paired-reading sidebar information. Bedding down. Shhh . 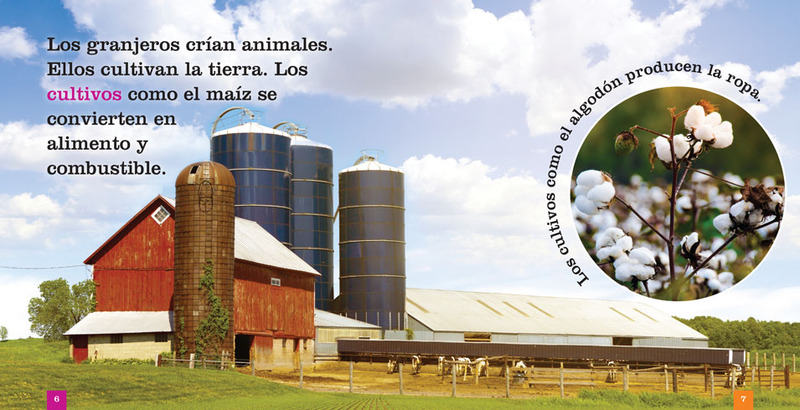 . .
Booktalk: A kindergarten-level introduction to farmers, covering their job description, the places where they work, and how they help the community by growing crops and raising livestock. 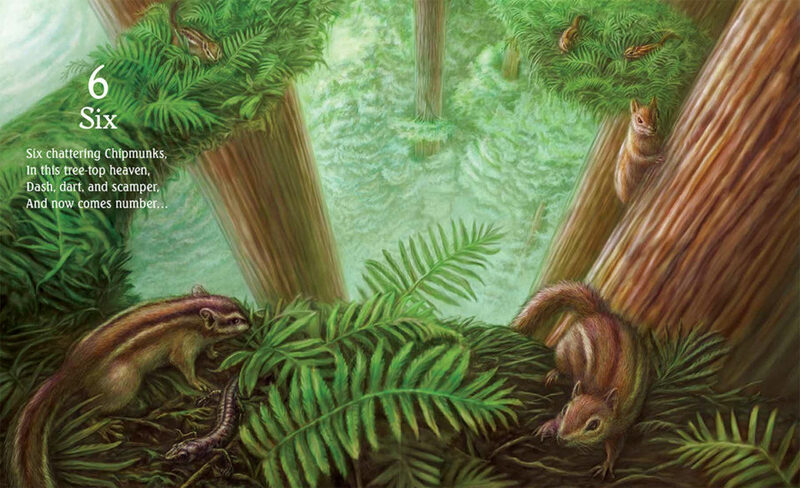 Waaaay up, high in the world’s tallest trees is an entire world teeming with life. 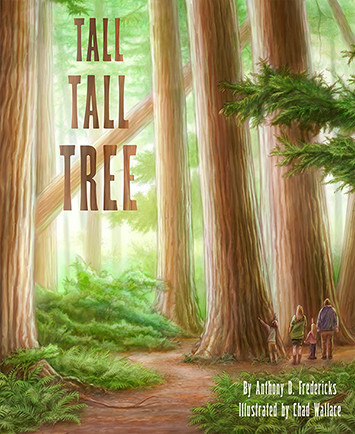 Most people don’t get to see the animals who live in those tall, tall trees – but this book takes you on a field trip into that world. There are lots of animals up there, living at skyscraper heights: eagles, bats, owls, salamanders. From one to ten, the author introduces us to some of the residents of the redwood tree. What I like about this book: There are “hidden” animals on each page. For example, when our attention is directed to the slimy banana slugs, will we see the other animal up there in the tree? There’s even a “find the hidden animals” challenge in the back matter – Yes! there is back matter! There is also additional information about the redwoods and some STEAM activities in the back matter. 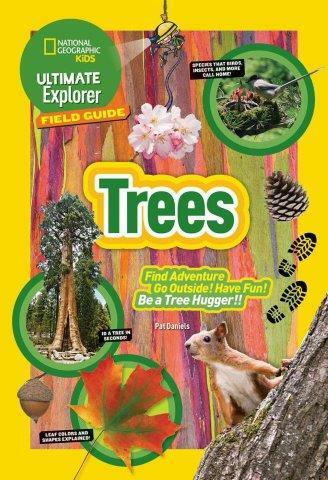 This is a tree-mendous field guide, perfect for tree-huggers of any age. 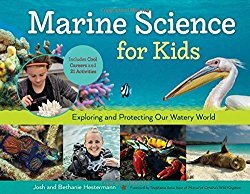 Introductory pages include “what is a tree?” and give a quick lesson on how to get to know leaves – as well as a warning about poison ivy so you don’t accidentally pick any of those leaves for your collection. There are plenty of tree entries, each with a photo of the entire tree and close-up of leaf or needle, flowers, nuts, cones, or fruit. In addition to general information there are some fun facts. Every so often there’s a special feature that gives you a closer look at trees growth patters, flowers, seeds, or some other cool thing. One thing I wish they had included: photos of bark for each tree described – for those of us who go out tree-watching in winter. Booktalk: There’s a magical, wild world happening in the tallest of tall trees – a world teeming with life that very few people ever see! Come take a peek at the animals that make their home in a tall, tall redwood tree and count the critters from one to ten. Fall is such a season of change. We go from brilliant leaves splashed against blue sky to bare limbs – sometimes covered with snow. 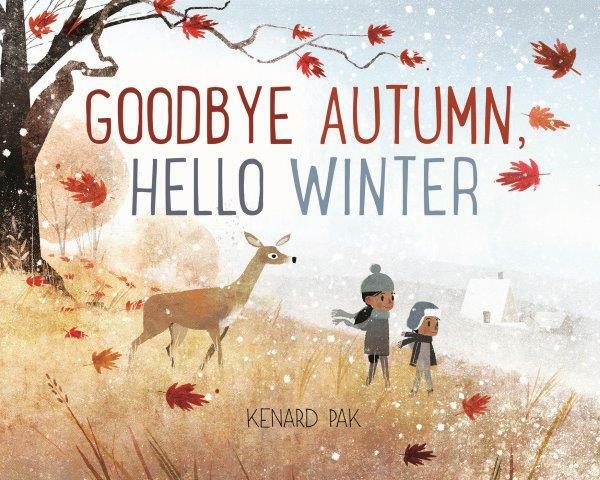 Here are two books that celebrate the changing season. Two children walk through field and farm and town, as the season changes from fall to winter. 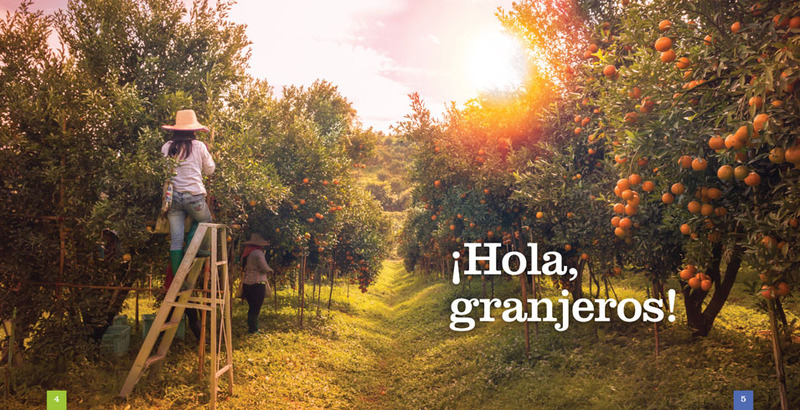 They greet animals, trees, and birds as they pass. Cardinals and robins reply that they are ready to fly south. Clouds cover the sky; icicles reply that their job is to decorate the eaves of houses. What I like about this book: it is a quiet, gentle passage from one season to the next. We see the children walking through different neighborhoods: a hillside, a rural road, the city street. Everywhere they go, they observe how the season is changing, and how the animals and plants are adapting to the coming cold. I admit to saying hello to woolly bears I come across while raking leaves – but unlike the tree frogs, my woolly bears don’t seem to say much. Or if they are, I am not attuned to hearing their language. I like that the children are observing nature in the town and in a city. This reinforces that nature is everywhere, not something “out there”. And I like Ken’s artwork. It is full of texture and you can “see” the leaves blowing across the page. “Winter is coming,” says the fox. “What should I do?” To figure it out, fox sets off to see what other animals do to survive winter. Birds fly south (I can’t do that, says fox); turtles dive to the bottom of a pond and dig into the mud. (Definitely Not For Fox!). What I like about this book: It’s a fun quest, because who doesn’t want to know what other people/animals do when snow is on its way. I like seeing the world through the point of view of a fox. 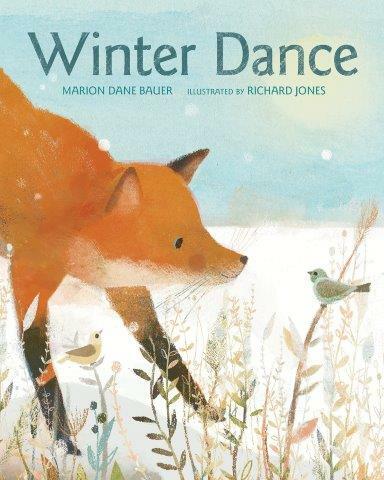 And I like the idea of foxes dancing to celebrate winter. Note from the bug girl (me): As fun as this book is, curious young naturalists will want to further investigate behavior of “woolly caterpillars” they come across. In our area, the woolly caterpillars people see most are “Woolly Bears”, larvae of the Isabella moth. Woolly bear caterpillars find a cozy place under leaves or hay mulch where they curl up and hibernate until spring. You can read more about them here and at Naturally Curious. White “woolly” caterpillars (tussock moths) overwinter in the egg stage.